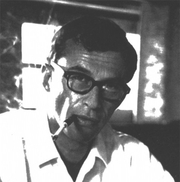 Milton S. Lesser (b. 1928), American science fiction and mystery writer. His most prominent pen name is Stephen Marlowe. Other pen names used include Adam Chase, Andrew Frazer, C. H. Thames, and Jason Ridgway. Lesser legally changed his name to Stephen Marlowe in the 1950s. Milton Lesser is currently considered a "single author." If one or more works are by a distinct, homonymous authors, go ahead and split the author. Milton Lesser is composed of 8 names. You can examine and separate out names.